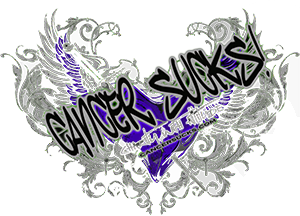 Hi everybody, I am blogging to inspire other cancer patients with my experience.. I am a patient with recurrent ovarian cancer. I had three major surgeries.. I also did a combination of chemos and It was hectic i thought I should lose hope. I kept of researching and asking around and I got great reviews about immunotherpay… I came across this service where you can preserve your tumor and took part in a vaccine trial that was running at Upenn in Philadelphia at the time. Its called Store My Tumor and its great!!! They basically process and store tumors on behalf of patients…. I had used many chemotherpy combinations but the tumor kept on recurring. however after the vaccine trial I have been stable for the past 3 months now. Never give up ladies!!!! I thought I ran out of options and here we are! please share your stories and us inform each other and learn from experiences. My mom is a cancer survivor, my moms friend who was like an aunt to me, is a breast cancer survivor, my uncle Abraham wasn’t as lucky as my mom and my moms friend,he passed away on January 20,2010.my family wasn’t close and his only wish was for all of us to be close and for everyone to forgive and forget everything that happened before,his wish never came true.it almost 3 years and its hard on all of us,we all love him so much.R.I.P. uncle Abe. why cant cncer get cancer and die. i bet alot of people would love that. why did god take my uncle away from us, we need him. i miss him, soo much. i wish i just had one more chance to talk to him. just one more chance. just one. I truly believe my son Ryan’s pancreatic cancer started when he was in college he started having stomach problems I kept telling him to go to a Dr. But he kept putting it off he just kept saying I am fine. When he finally went they said it was just acid reflux. They put him on pepcid which seemed to control it. He graduated in 2003 got married and found a job and went on with his life then I guess he started having trouble again because the next thing I know he is informing me he has Pancreaitis and they are treating him for that well nothing worked so they took more tests nothing conclusive but kept having the pancreaitis. His daughter Layla was born October 3, 2006 for the next 4 months he continued to try to get rid of the pancreatitis then in February they decided to do surgery something had showed up on the CT he told me that it was nothing to worry about it could possibly be a second spleen but that they were going to go in and remove half of his pancreas and his spleen that would get rid of the pancreaitis and prevent anything bad down the road. The radiologists said that they really didn’t think it was cancer because of his age and that there were no lymph nodes involvement. On February 27,2007 he underwent the surgery when the Dr. Came out and told me that my son at the age of 29 had pancreatic cancer my heart just sunk. I couldn’t believe it it was so hard standing there in his room when the Dr. Told him I will never forget the look in his eyes when he look at me after he heard. March 1st he was diagnosed with small cell carcinoma of the pancreas. He underwent aggressive chemo and radiation he lost all his hair and lost 40 pounds. He was cancer free till Jan of 2009 he started a different type of chemo during this time his second daughter Ellie was born April 6. For a little over a year he took the chemo but because of his counts and weight loss they said he couldn’t take it anymore so they put him in a clinical trial and all that did was make him worse. I kept asking him did he want me to come up and he kept saying I am fine. I took my mother and my daughters to see him march 17,2010 it was not my son. He only weighed 107 lbs his eyes were sunken in and he could hardly stay up to visit with us it about killed me. We left on the 26th. He then decided to quit the clinical trial when he went to the Dr. On Thursday April 8th, he told her she then arranged for hospice to come in. The next day Friday April 9th when I called he was with hospice so he called me back my mom had already told him she wanted to come back up he said ok but only for a couple of days. So we decided I would meet her half way on Sunday April 11 and leave on Monday to go back up there. When I talked to him on Friday I could tell he was real weak he wouldn’t even talk to his father said it tired him out too much to talk long. Saturday April 10 I woke up and preceded to get things ready for my trip and things around the house that needed done. I had just went to bed when my daughter brought me the phone and said it was my son’s best friend they had went to see him that day. He told me that Erin my daughter in law had ask him to call to inform me that My beautiful son age 31 had passed away at 11:30 that night. Just 4 days after his youngest daughter Ellie’s first birthday. I was speechless all I could do was say thank you for calling. And hang up. When he died he only weighed 100 lbs. I feel there were a lot of things along this journey that my son didn’t tell me and I have a lot of questions not answered. That will probably never be answered. My son loved life and his family he did everything he could to fight this horrible disease until he just couldn’t fight it anymore. He impacted so many people during his short life on this earth and was right with his god. He is and will continue to be missed by many. One of his best friends remarked after his death that “He didn’t change the world entirely just us.” That is so true so many people’s lives were impacted greatly just by knowing my son.